Do you really want to know what's in a hot dog? If the answer is no, you should stop reading now. Clear Food, a company that genetically tests food products, decided to investigate. 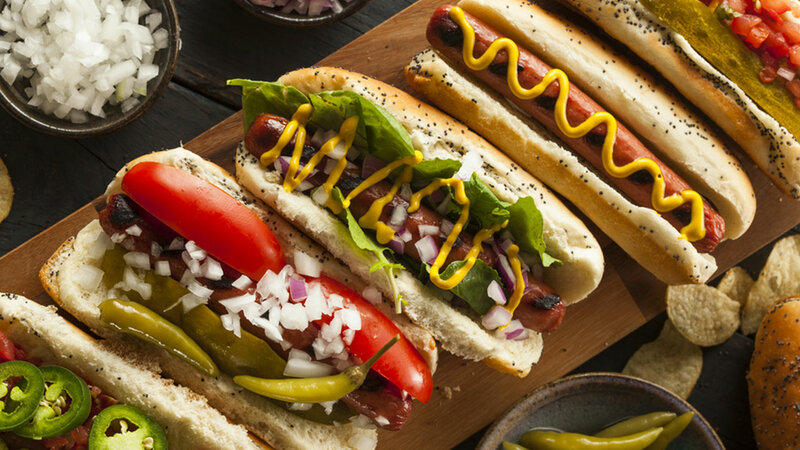 It used genomic analysis technology on 345 hot dog and sausage samples from 75 brands to see if you were really getting what's advertised on the package. Turns out, 14.4 percent of the time, you aren't. "Problems included substitutions and hygienic issues," the report states. "Substitution occurs when ingredients are added that do not show up on the label. Hygienic issues occur when some sort of non-harmful contaminant is introduced to the hot dog, in most cases, human DNA." Clear Food says its testing found human DNA in two percent of all hot dog samples. Even more disturbing, 66 percent of those cases were found in vegetarian-labeled products. It did not however specify which brands contained the human DNA or what exactly caused the contamination. That's not the only cross contamination. Clear Food says 10 percent of all vegetarian hot dogs had some sort of meat in them. Some dogs were labeled pork-free but still had pork in them. Other's included chicken, beef or lamb even though those ingredients aren't on the label. Despite the results, the company said most hot dog makers scored well on the tests. It named Oscar Mayer's Premium Jumbo Beef Franks as the best overall hot dog and named Butterball as the best overall maker of all hot dog and sausage products. You can view the full test results by tapping here.